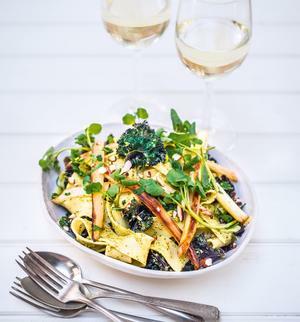 I’m Lee and I do vegan cooking, cookbook authoring of ‘Peace & Parsnips’, tasty blogging at beachhousekitchen.com and run vegan cooking events and retreats all over the UK. I’ve been into plants for years, a veggie, now vegan, and I’ve always worked in the restaurant industry and loved great food. Vegan cooking is creative and inspiring in so many ways. I’m vegan because I like animals, the earth, my health and awesome food! I do like making food. My favourite foods are fresh, seasonal vegetables and fruits. Organic, if I’m very lucky. 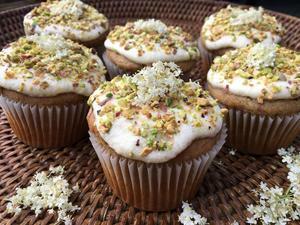 I love creating new recipes with seasonal produce. I normally have a smoothie or a nice bowl of fruit and cereal for brekkie, then a light lunch, mainly salad based, and then dinner time, anything goes. I’m not a normal chef, as I love cooking at home!! I cook a fresh meal every night and love travelling, so I bring that inspiration back into my little kitchen in Snowdonia. A french peeler. Genius design and essential. A sharp knife. A good blender is awesome. Can I have three please? I could not live without, or would not be quite as joyful about eating, if curry disappeared from the universe for good. I don’t miss any food since switching to full plant power. There are so many options out there now for things like cheese and even that fake meat stuff. Which is bizarre, but many people dig. Healthy whole foods. A balanced vegan diet is the healthiest way to eat; plenty of fruit/ veggies, whole grains, nuts, legumes, dried fruit, GREENS……most of us know the score. Eat these things and enjoy amazing health and vitality!! It’s a superhuman diet! But I think one of the most important things is a healthy relationship with food, enjoy eating!! Probably. Although I ate pretty healthy before. I think its made me more aware of what I eat and how I shop/ live in general. It’s a knock on effect of being more conscious of how my actions effect the world and how it effects and influences me. Congratulations.!! It’s the best thing you could ever do!! Go for it!!! 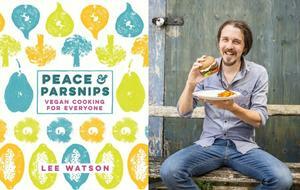 Purchase Lee’s brilliant cookbook Peace & Parsnips—it’s full of wonderful writing and ideas.